To do this yoga, one must have, at least a little, the sense of beauty. If one does not, one misses one of the most important aspects of the physical world. There is this beauty, this dignity of soul - a thing about which I am very sensitive. It is a thing that moves me and evokes in me a great respect always. Yes, this beauty of soul that is visible in the face, this kind of dignity, this harmony of integral realisation. When the soul becomes visible in the physical, it gives this dignity, this beauty, this majesty, the majesty that comes from one's being the Tabernacle. Then, even things that have no particular beauty put on a sense of eternal beauty, of the eternal beauty. Affirms its worth, but asks for nothing. Medium to large (10-15 cm) fully double flowers with symmetrically arranged ray florets in a variety of forms (broad, rounded or cupped) and many colours (except pink, orange yellow, mauve, and intense red). Refuses all that lowers or debases. 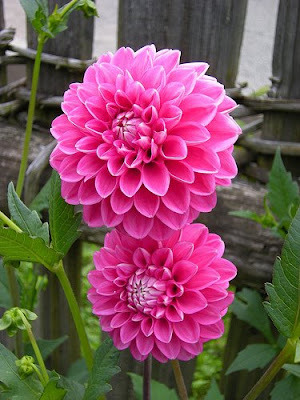 Medium to large (10-15 cm) fully double pink flowers with symmetrically arranged ray florets in a variety of forms (broad, rounded or cupped). Tolerates no pettiness in thought turned towards the Truth. 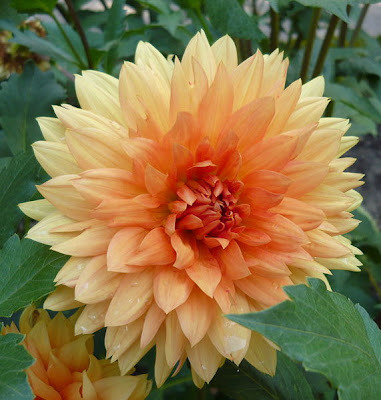 Medium to large (10-15 cm) fully double orange yellow flowers with symmetrically arranged ray florets in a variety of forms (broad, rounded or cupped). Not to allow one’s emotions to contradict the inner Divinity. 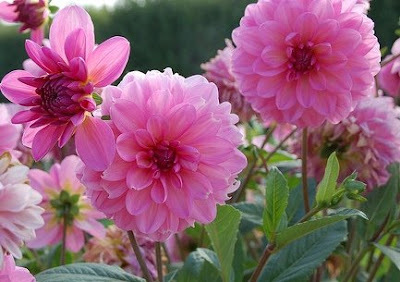 Medium to large (10-15 cm) fully double mauve pink flowers with symmetrically arranged ray florets in a variety of forms (broad, rounded or cupped). 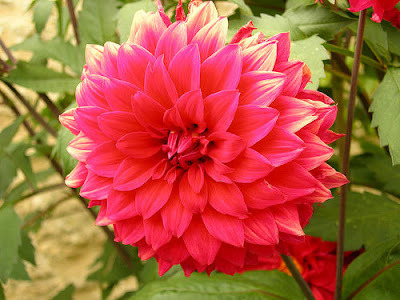 Medium to large (10-15 cm) fully double intense red flowers with symmetrically arranged ray florets in a variety of forms (broad, rounded or cupped).